Lifting the Asian Cup trophy on home soil is a dream that is becoming ever so vivid for the United Arab Emirates players and Ali Salmeen is no different. With the host nation gearing up for a semi-final clash with Qatar on Tuesday, the Emirati midfielder admitted that the prospect of winning the tournament in front of their home support is providing more than enough motivation. 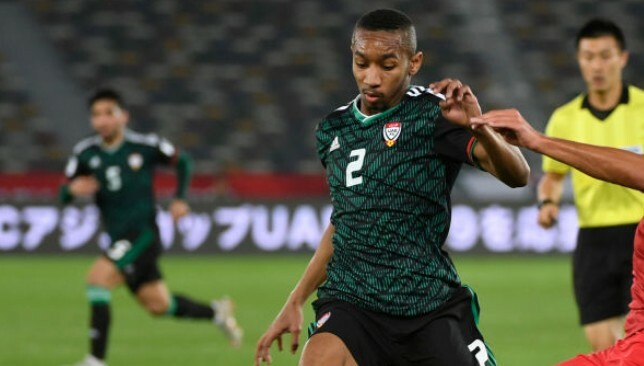 The UAE finished in third place at the 2015 edition of the competition in Australia but under head coach Alberto Zaccheroni, they are hoping to be finalists as they were in 1996 – the last time they played hosts. They’ll also be looking to extended their unbeaten run against Qatar which dates all the way back to 2001. Al Wasl star Salmeen fully appreciates the importance of performing well at home and insists the encounter at the Mohammed Bin Zayed Stadium will command their complete focus. “We are very well prepared for this important game, and our focus is purely on the match,” the 23-year-old said as quoted by the AFC’s official website. “We need to beat Qatar so that we can reach the final. It is true to say that it is a crucial game, not only because it is a semi-final, but also because it is in our own country. The UAE have the distinct advantage of being able to play on their own turf, and Salmeen is confident the home fans will turn up not only in numbers but in full voice in Abu Dhabi. “I do not think that our fans need a rallying cry because they have been with us from the beginning,” he said. United Arab Emirates head coach Alberto Zaccheroni is confident that his ‘evolving’ side has taken great strides over the course of the Asian Cup and are now prepared to earn their place in the final. Despite a challenging start to the tournament, the host nation have gained momentum and only a semi-final match with Qatar stands between them and a berth in the showpiece event. The UAE profited from a late Ahmed Khalil penalty to secure a 1-1 draw in their opener against Bahrain before beating India and drawing with Thailand to win Group A. A narrow win over Kyrgyzstan followed in the last016 before they came into their own with a more convincing display to eliminate holders Australia, securing a spot in the last four. “It is true to say that we had some difficulties in the first group stage games, as well as in the Round of 16,” Zaccheroni told reporters as quoted by the AFC’s official website. On Tuesday, the Whites will play their second successive semi-final for the first time since 1996. They were the hosts then as well and on that occasion defeated Kuwait to make the final where they eventually lost to Saudi Arabia on penalties. 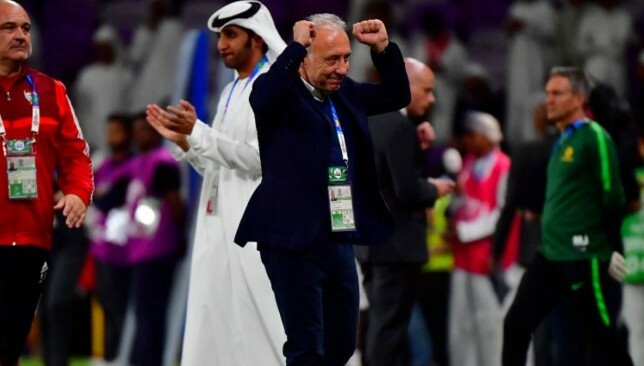 Zaccheroni is fully aware of Qatar’s strengths but insists that his charges are up to the task and will be completely focused at Abu Dhabi’s Mohammed Bin Zayed Stadium. “Qatar are a strong and organised team, and one that has yet to concede a goal. They have done well, not just here, but also in 2018. We must be highly focused in order to reach the final,” he added. After Ismail Al Hammadi, Mohamed Gharib and captain Fares Juma all suffered knocks during a closely contested quarter-final win over the Socceroos, there is plenty of uncertainty over Zaccheroni’s starting XI to face Qatar. The Italian tactician however will at least be able to call on Khamis Esmaeel, who served a suspension against Australia and doesn’t seem to perturbed by the prospect of having first team players sidelined. “What is important is that I have 21 players available,” he said. “I want to achieve the goal that I set when I first came to the UAE, and that is to reach the final. That is also the aim of the players, the technical staff and everyone at the United Arab Emirates Football Association. History suggests the UAE hold the advantage over Qatar going into the clash as they have had the better of the recent encounters between the two sides. The Emiratis emerged victorious in their last three meetings with the Maroons, including an emphatic 4-1 win at the previous edition of the Asian Cup, when star striker Ali Mabkhout bagged a brace. In fact, Qatar’s winless run against the UAE dates back to 2001 during qualification for the following year’s World Cup. Takumi Minamino was a hero for Japan, but will be seen as a villain by Iran. Japan will go in search of a record-extending fifth Asian Cup trophy after they swept aside Iran 3-0 in Al Ain. 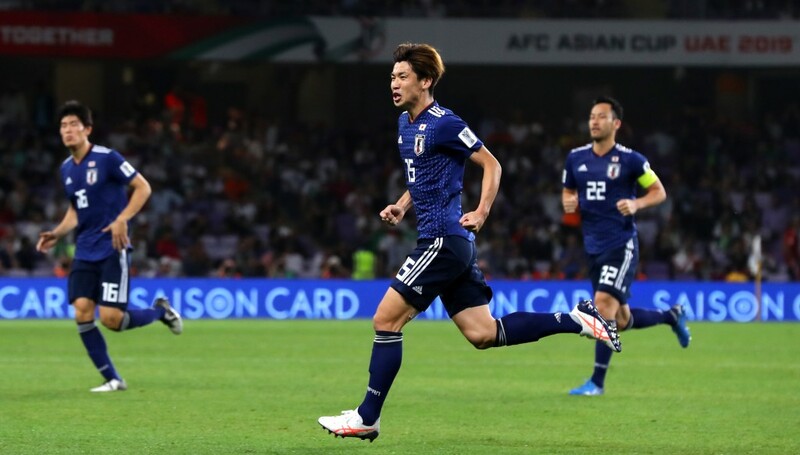 Yuya Osako scored twice and Genki Haraguchi finished off previously impressive Iran in stoppage time to set up a final date with either the UAE or Qatar. After an engaging but ultimately fruitless first half, the game burst into life just before the hour. Osako began and finished the move, playing in Takumi Minamino who retrieved possession to swing in an arching cross that Osako buried past Alireza Beiranvand. Ten minutes later and it was advantage Japan when they made it 2-0. Minamino was again at the heart of the matter, getting in down the left channel and his cut-back harshly adjudged to have been handled by Morteza Pouraliganji. Iran fans cheered loudly as VAR was called upon, but it was the Samurai Blue supporters who could be heard when the official held firm and stuck with his decision. They were even more vociferous when Osako calmly slotted in his second to give Japan a commanding lead. As Iran pushed for a way back into it, they were caught on the break late on when Hannover midfielder Haraguchi finished them off. Iran’s fans: According to a 2018 study there are around 450,000 Iranians living in the UAE. That’s around 4.76 per cent, the fifth most among the expatriate population and sixth when including Emiratis. At times it felt like 100 per cent of them were inside the Hazza as they boisterously cheered Team Melli on. Even when they went 2-0 down they were loud and proud and provided their side with a 12th man . Clinical Japan: Hajime Moriyasu has been calling for his side to sharpen up after a blunt first five games. The Samurai Blue had won five from five, but all had been via a one-goal margin and only twice (3-2 v Turkmenistan and 2-1 v Uzbekistan) had they scored more than one. Here they were as sharp as a samurai’s sword. They will be heavy favourites in the final. Osako celebrates his crucial opener. Taremi is missed: Scorer of three goals at this tournament, Mehdi Taremi has terrorised defences at the Asian Cup. He was one of the scorers against China, but his booking in that game robbed Iran of his terrier-like tenacity and tireless workrate here. Sardar Azmoun was still a threat but too often aimless balls were pumped up to him and Vahid Amiri to chase rather than patient attacks being built through the middle. Unsporting behaviour? Seconds before Japan opened the scoring there was a huge moment of controversy. Takumi Minamino raced on to a pass from Werder Bremen forward Osako. He fell under a non-existent Hossein Kanaanizadegan challenge, but crucially stayed alert, saving the ball from going out for a goal-kick. 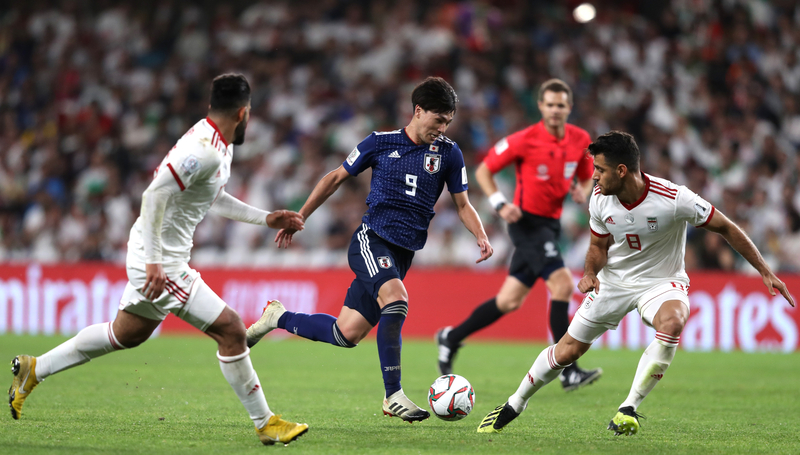 As five Iran players stood still, Minamino and, crucially, Osako, stayed focused, the latter meeting the former’s fine cross with a firm header. Bad from a sporting point of view, but Iran switching off was even worse. That’s the Endo that: Japan are a largely immovable object rather than an incisive force under pragmatic Moriyasu, but when midfield lynchpin Wataru Endo was stretchered off on the hour, the coach saw it as a chance to go for the jugular rather than shut up shop. On came Al Ain utility man Tsukasa Shiotani as Japan switched from 4-4-2 to 5-3-2. It opened up the wide areas and resulted in the killer second goal. ✅ 1992 ➡ Champions 🏆! ✅ 2000 ➡ Champions 🏆! ✅ 2004 ➡ Champions 🏆! ✅ 2011 ➡ Champions 🏆! 10th min CHANCE: Dejagah’s laser beam through ball gives Azmoun something to chase, but young centre-back Tomiyasu is there to snuff out the danger. 63rd min PENALTY: Minamino pulls it back and strikes the headstrong Pouraliganji who slides to ground. Referee Christopher Beath is asked to check VAR but re-affirms his decision. Dispatched teams prior to this encounter with ruthless ease, yet struggled against a more organised and determined outfit. It was evenly poised until the opener, but after that they capitulated. While Team Melli had torn teams to shreds during the tournament, it felt like Japan had been treading carefully. But a splash of fortune for the Samurai Blue and loss of focus from Iran for the opening goal was all that was needed for them to take command. Iran were sunk but Japan are peaking at the right time.